Last edited by Rob; 3rd February 2019 at 19:30. Great images Rob, as always, thanks. 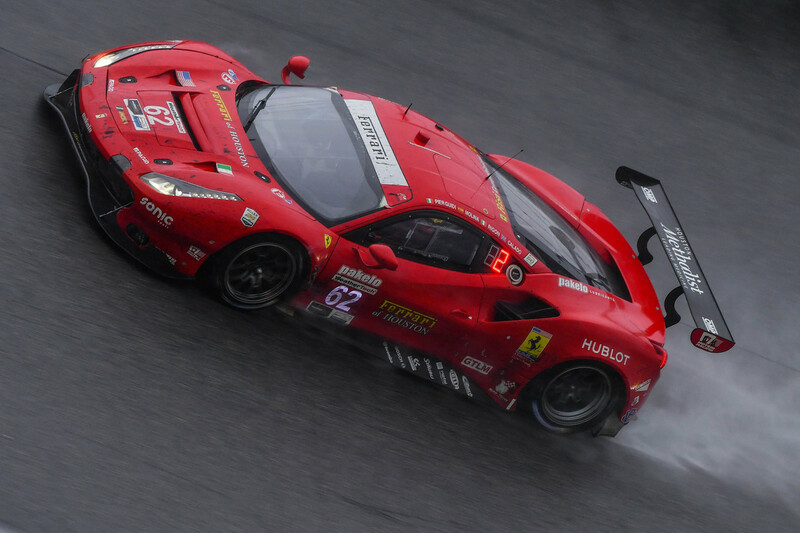 Daytona 24hr this year was very good race. Alot of action all the way through. Was, a great example why love endurance racing. 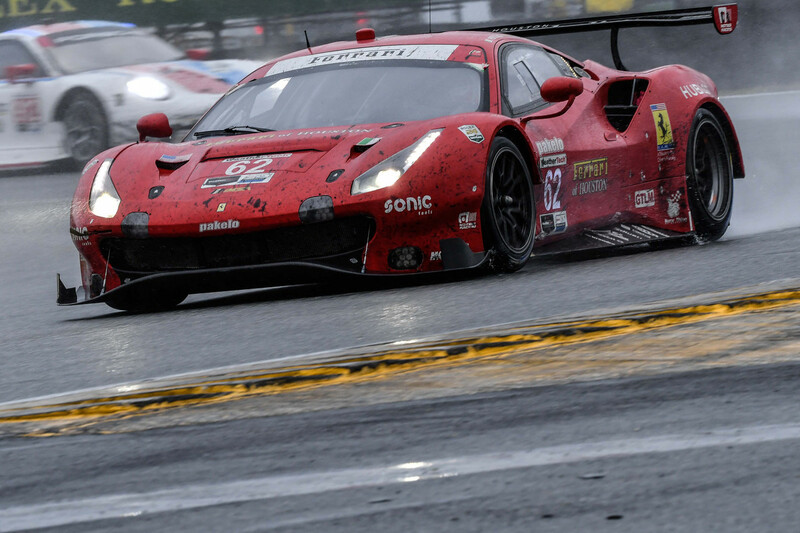 Shame the red flag didnt come out few laps earlier, as Risi would of won GTLM. Gutted for #51, and my friends. Was such quick car and drivers. But hey ho, thats racing. 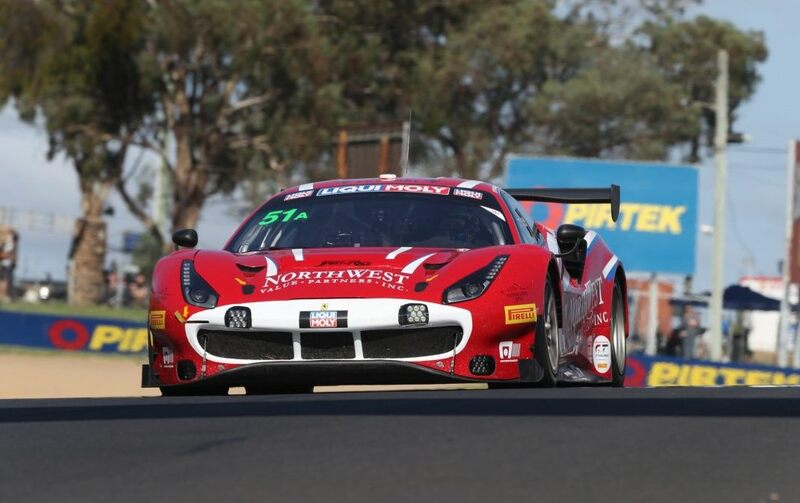 This weekend we have the Bathurst 12hrs. Will open thread for that soon. Got #51 spirit of race racing there, and also HUbAuto Ferrari. Next WEC race is still just under 2 months away, got that day booked off. As it is on Friday night. 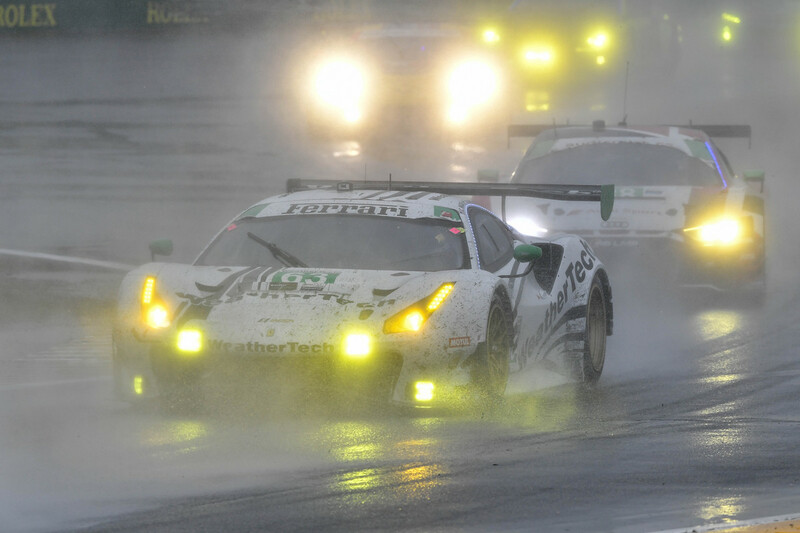 Sebring 1000kms, which could, in time wise be 10 hour race. Then on the Saturday, we will have IMSA Sebring 12hrs. What a weekend of racing. Cannt wait. “I’m very happy we’re going back, even with a different format of event. 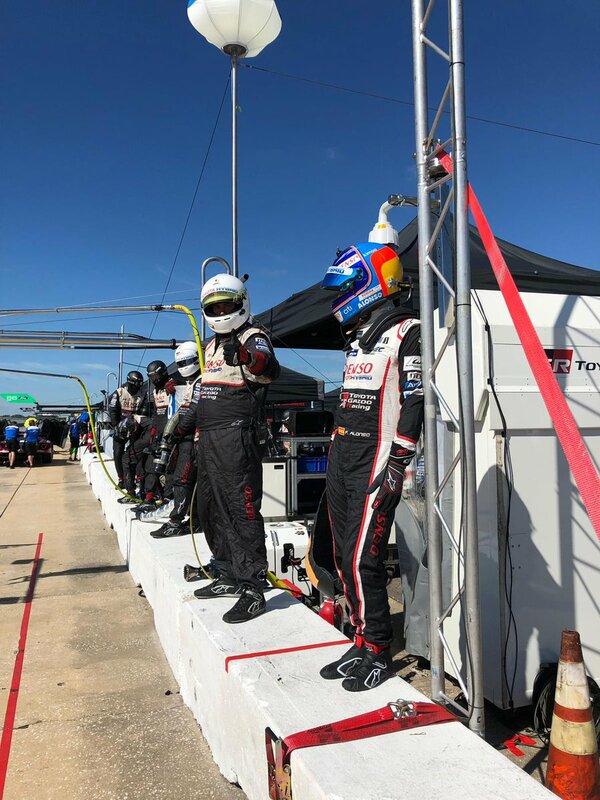 To go fast at Sebring is not easy. You have to respect the bumps – as everyone says – but it’s a really hard track to go very, very fast at. You have to really be at one with the car, be totally balanced and trust the car because it’s the only way to go faster on the bumps when your car is sliding everywhere. “I hope we can have a good race like in the past when the WEC was there in 2012. I’m looking forward to it for sure. 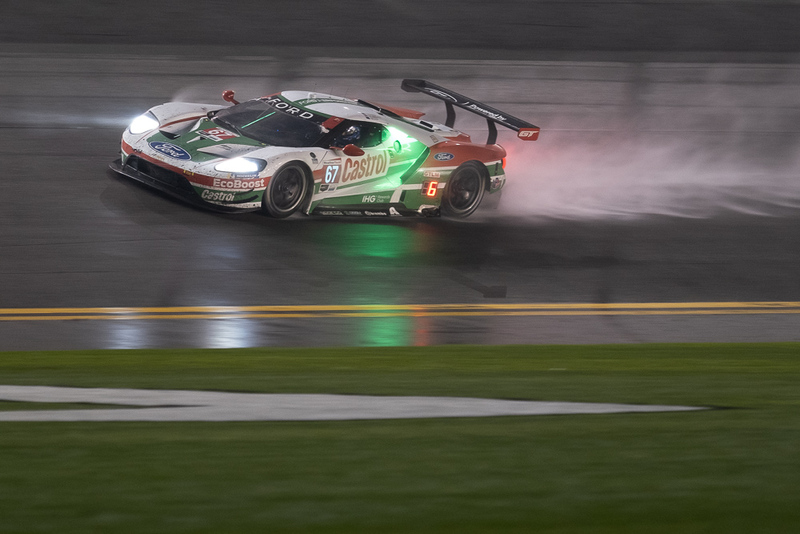 IMSA has penalized the second-place Land Motorsport GT Daytona team for a minimum drive-time infraction from last weekend’s Rolex 24 At Daytona. The penalty moves the No. 29 Audi R8 LMS GT3 to the back of the GTD field in the official results, promoting the No. 12 AIM Vasser Sullivan Lexus RC F GT3 to second in class and elevating the No. 88 WRT Speedstar Audi Sport entry to third. Land driver Ricky Feller was found to be afoul of the drive-time rule, which specifies the minimum and maximum amount of time drivers must spend behind the wheel to earn points and, in this instance, comply with the rulebook. 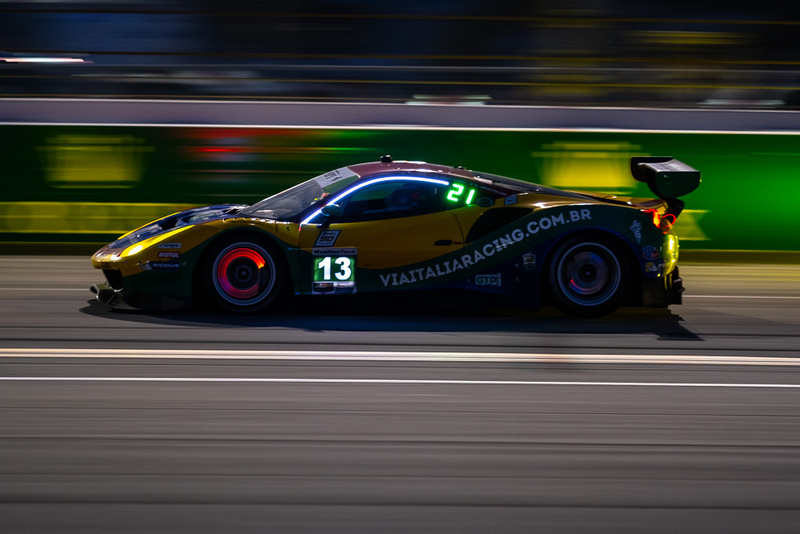 In a class like GTD where a mix of professional and amateur drivers share each car, the drive-time regulations are used to ensure the professional do not fill the majority of the available seat time while also safeguarding the interests of the amateurs whose time in the car might otherwise be reduced to the smallest number possible. Citing the sporting regulations that govern drive-time requirements, IMSA added more specifics to the situation with Land’s Feller: “Two drivers rated silver and/or bronze must individually achieve the minimum drive-time and each other driver (regardless of Driver rating) must individually drive the car for a base drive-time as listed in the SR or Car penalized in the drive-time penalty order priority.” It’s believed Feller was 15 minutes short of meeting the minimum drive-time obligation. 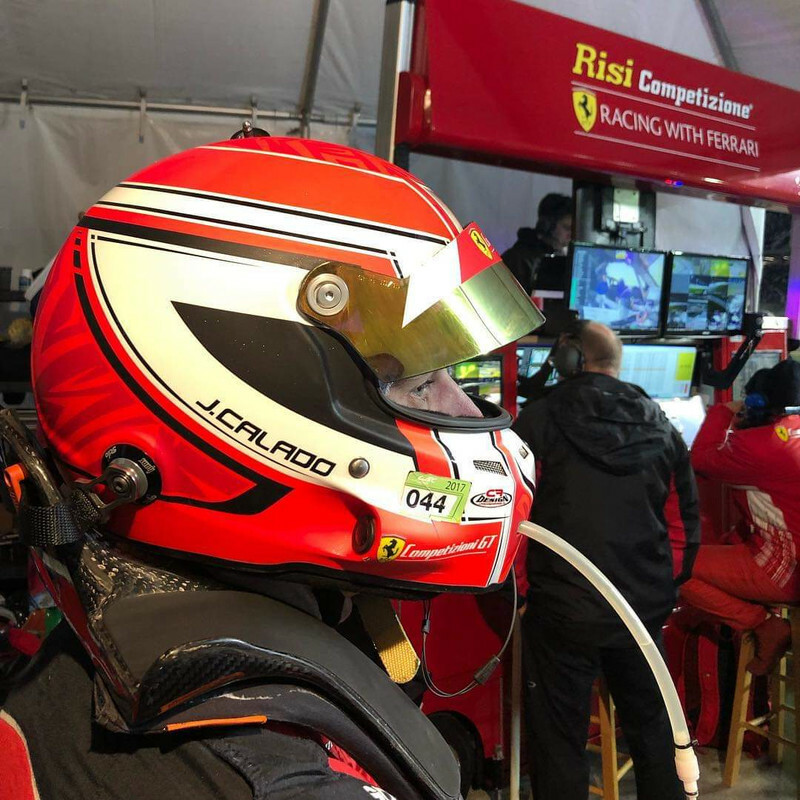 Scuderia Corsa’s Toni Vilander was also penalized for a drive-time infraction. Having crashed late in the race, his No. 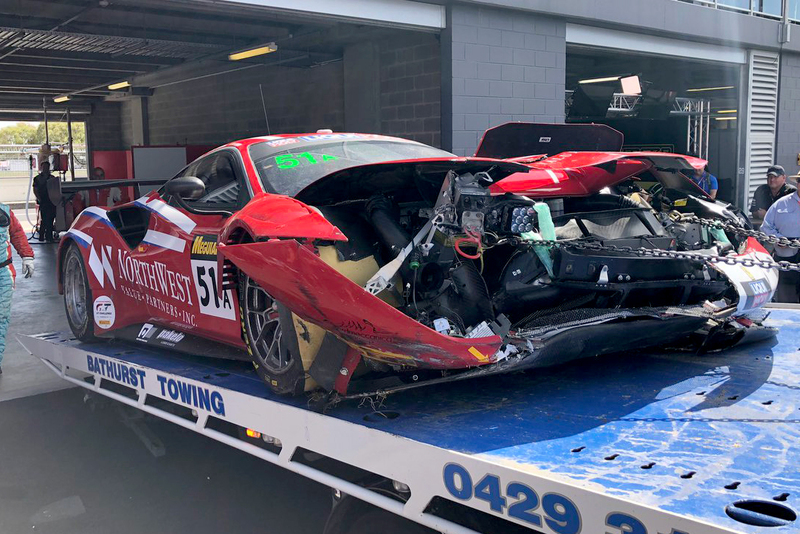 63 Ferrari 488 GT3 was classified 14th in GTD and was not running at the finish. The No. 63 has also been moved to the bottom of the results. Saw the 12hr Brathurst race yesterday(Feb. 02, 2019) on Youtube live. Some good racing. Me too, very close racing on what looks like a pretty narrow track, and the cars sounded nicely meaty too! I believe Spirit of Race 488 got the Pro Am class win, bravo. this was her after Friday. Paul was hit from behind by Shane Van Gisbergen. The crew worked till midnight to get her fixed. Super job all round. Last edited by Rob; 3rd February 2019 at 17:18.
cars sounded amazing. And its one of my top 5 tracks. Such fast, and technical track. Always good racing GT racing. So much more exciting and close racing than F1. Next one, Asian Le-Mans series 4 hrs of Sepang, then the biggy, Sebring double, WEC 1000KM on Friday, then 12hrs Sebring on Saturday. yeah, they did sound "throaty." Got the Friday 15th March off, so can watch the race. I work 1300-2130. All good news really for WEC. Just hope the non-hybrids can get a far crack at them next year. 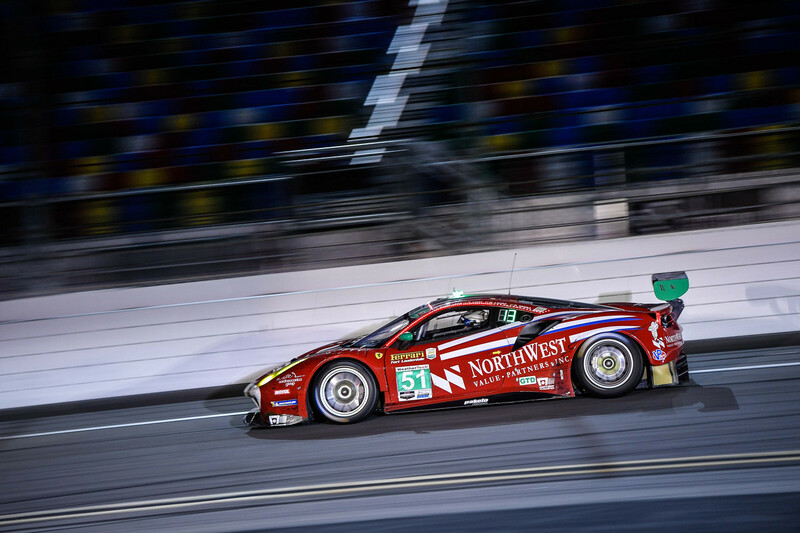 That leaves the final auto entry from IMSA, this one in the hands of Ben Keating who, after running a Risi Competizione-operated Ferrari last year at Le Mans looks set to add variety to the class with the first privately-run Ford GT in 2019. 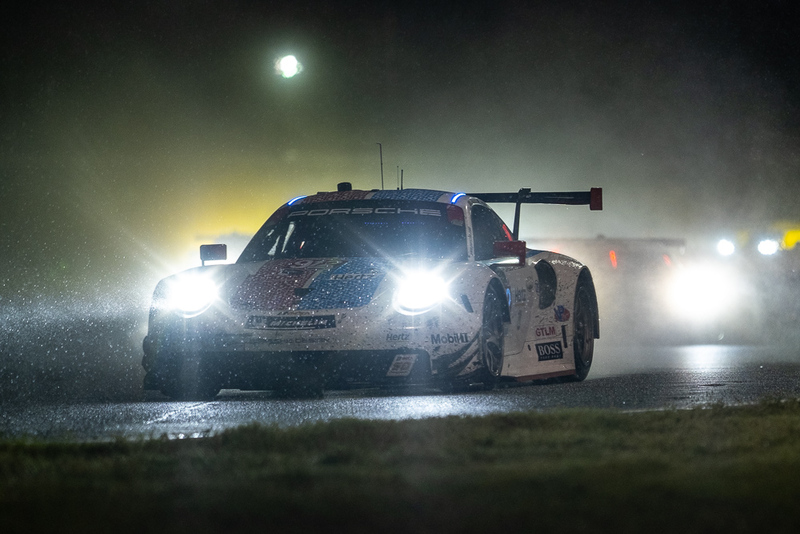 Following yesterday’s Le Mans 24 Hours entry list news, the ACO has lifted the covers on the 2019 European Le Mans Series entry list, which features a max grid size of 41 cars across the three classes. 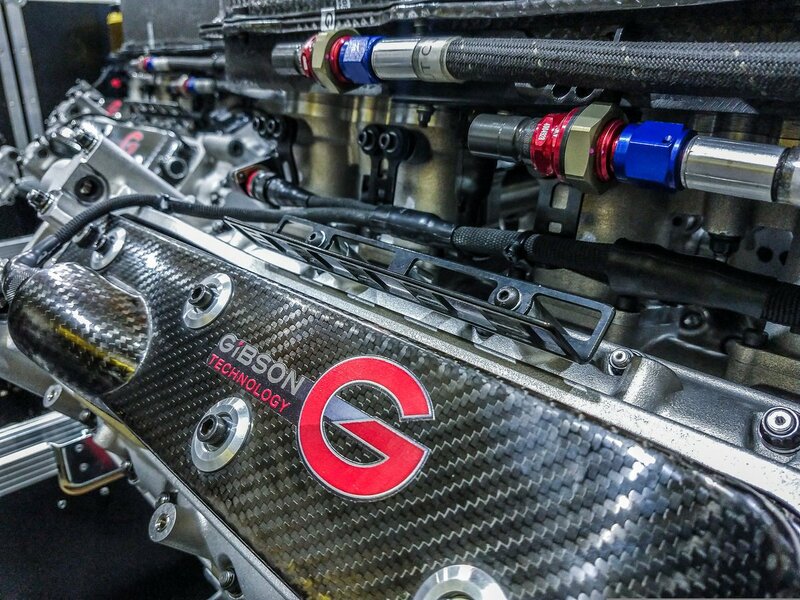 The big headline here is the hugely-impressive 18-car LMP2 grid, the series again featuring three of the four LMP2 chassis, with 11 ORECAs, six Ligiers and a single Dallara. Michelin has made great strides in the off-season, with 11 of the 18 currently nominating the French tyre manufacturer. 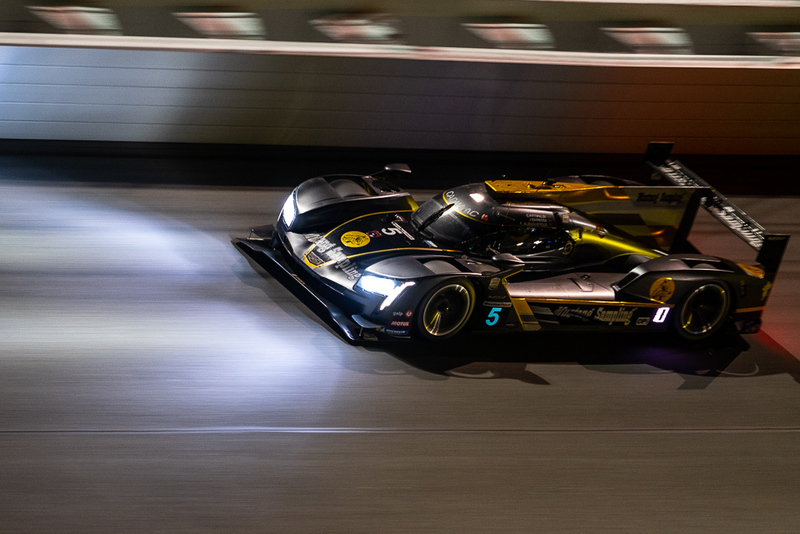 There are five new teams to the class this year, four of which step up from LMP3 (Inter Europol, Cool Racing, RLR MSport & BHK Motorsport) with, as trailed on DSC the addition of LMP2 and sportscar racing newcomer Carlin. 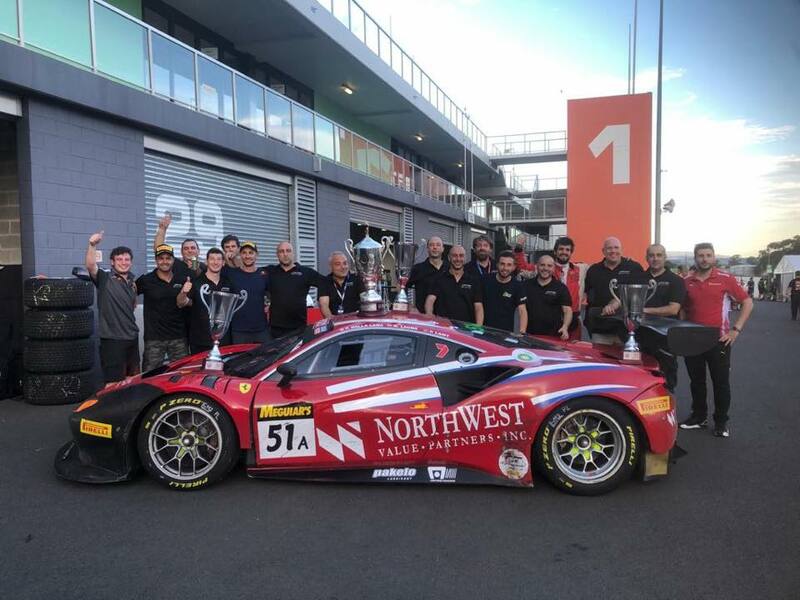 Missing from the list this season is the second-placed team from 2018, and Paul Ricard race winner Racing Engineering, believed to be set for a GT3 programme in 2019. As expected, neither the AVF nor SMP Racing Dallara efforts have returned either, the ex-SMP chassis understood by DSC to be the car that Carlin is running this year. Also unsurprising is Panis Barthez has doubled its effort to two cars, whilst after a troubled 2018, GRAFF fields just a single LMP2 car this time. 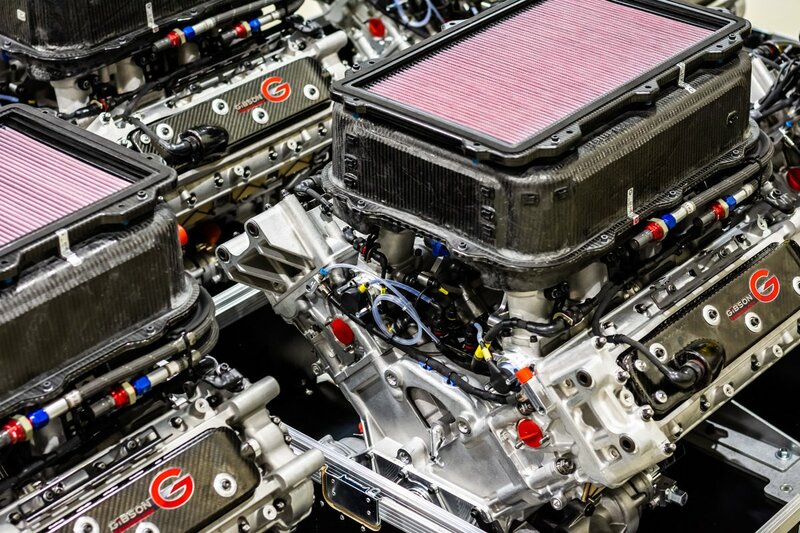 The news in LMP3, is that the class has been squeezed, with increased numbers in LMP2 and GTE, to cater to the full 41-car maximum grid size. 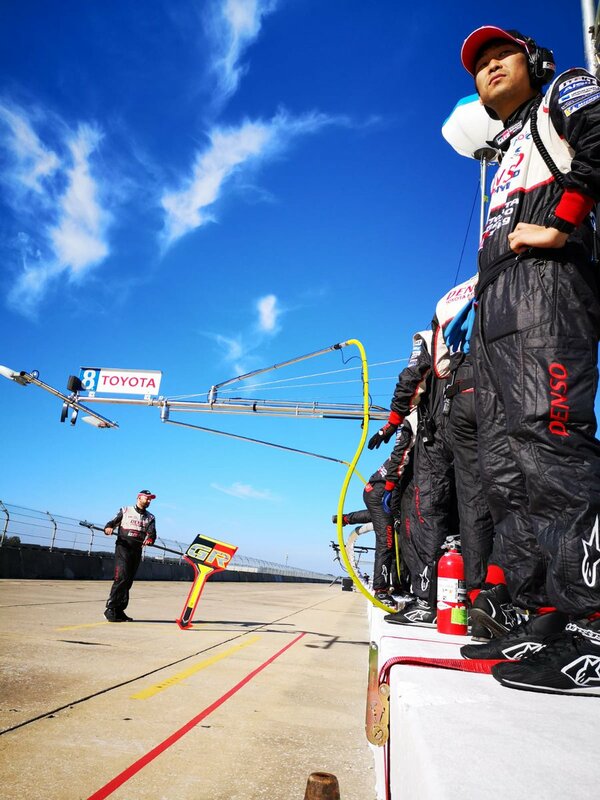 More than half the total composed of four two-car teams, with 360 Racing and Nielsen Racing both doubling up this year. M Racing though, and Eurointernational is down to one car apiece. Realteam Racing is a new name to the grid, though the car will be operated by regular GRAFF. Previous champions United Autosports and RLR MSport both return meanwhile, both with Ligiers. Norma hasn’t made any further in-roads for 2019, just four of the 14 cars are M30s. 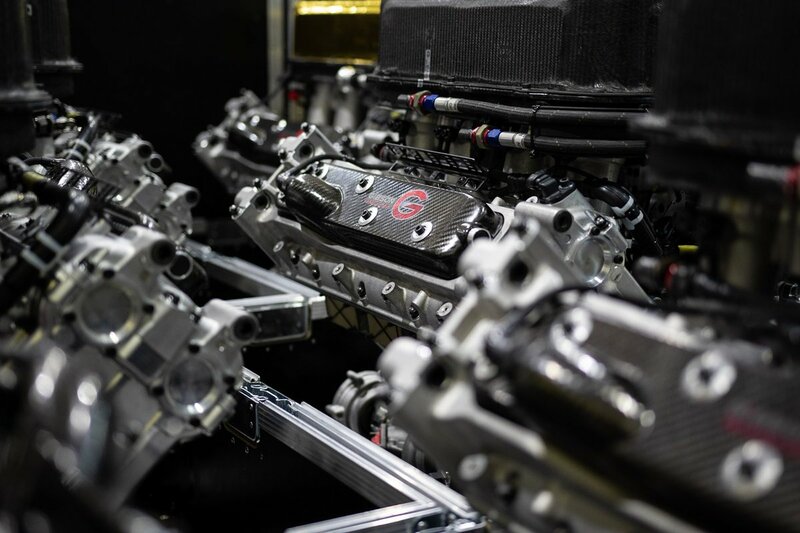 From the 2018 full season entry Cool Racing step up to LMP2 and forego their LMP3 effort in ELMS, BySpeed factory appears to have had their entry refused for ELMS and DKR Engineering, as expected, stepping back to Michelin Le Mans Cup. There is no sign either of the Villorba Corse Ligier effort, just recently announced, will that be seen in the Michelin Le Mans Cup instead? 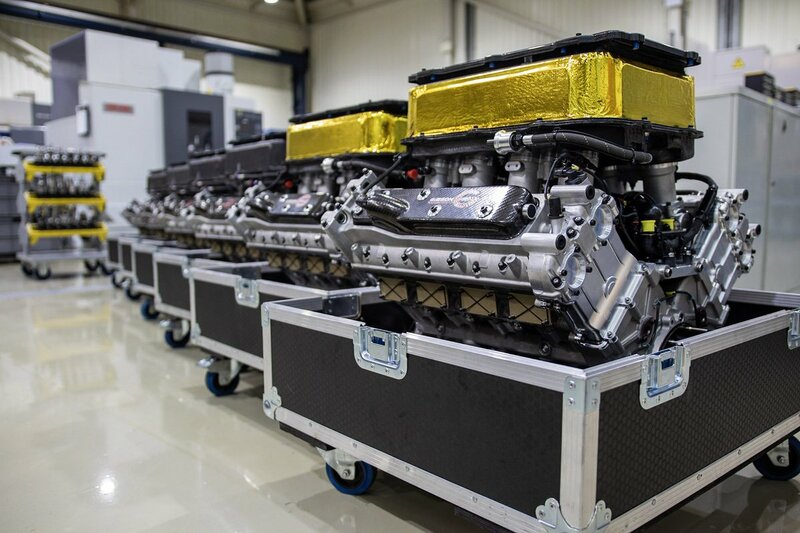 In GTE, there’s nine cars, up from last year, with the addition of GT Open regular Luzich Racing, WEC team (leading GTE Am championship) Project 1 and two Kessel Ferraris as revealed by DSC late last year. Driver wise, Jeff Seagal is a notable name for JMW, as well as long-term factory driver Richard Lietz in the #77 Dempsey Proton branded car. For Kessel, one car features Le Mans Cup winner Claudio Schiavoni, the other car will be an all-female squad. 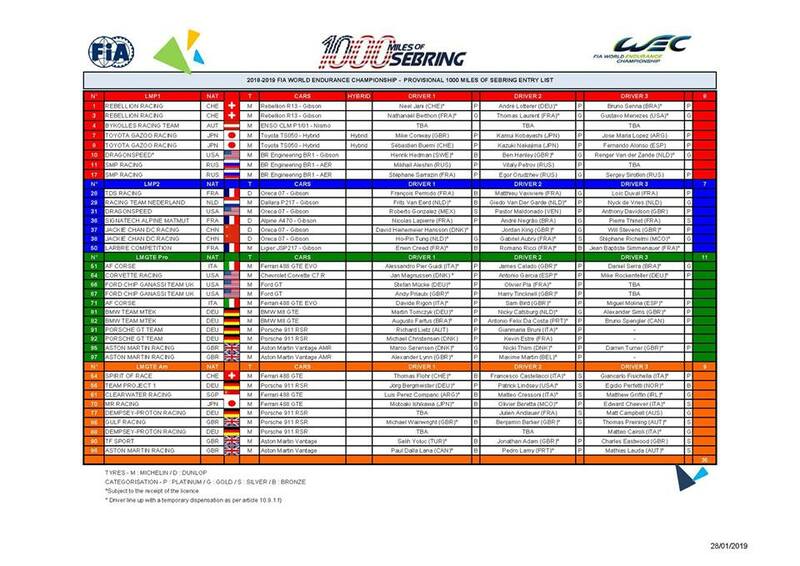 The provisional entry list for the FIA WEC collective test session on 9-10 March at Sebring Raceway has today been revealed. 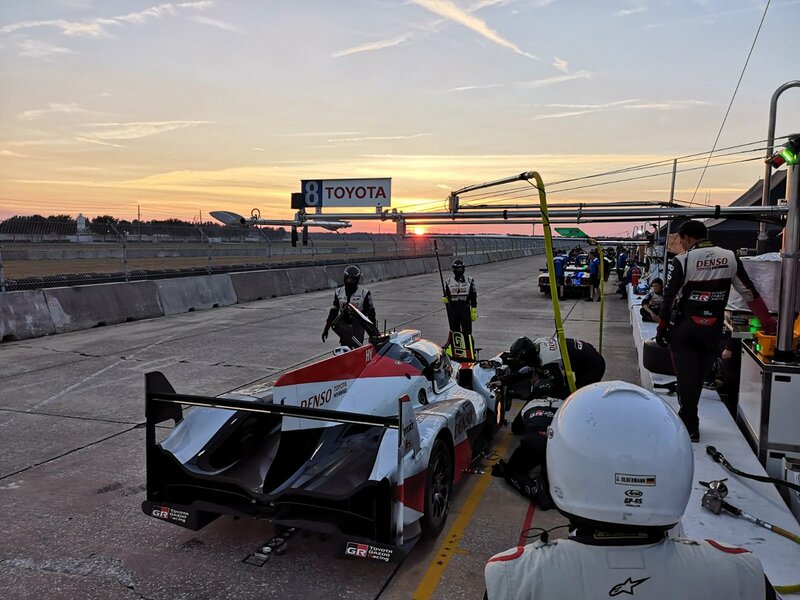 Of the 34 cars due to take the start of the 1000 Miles of Sebring on Friday 15 March, 29 will be using the two-day test to learn the track and how to respect the bumps! 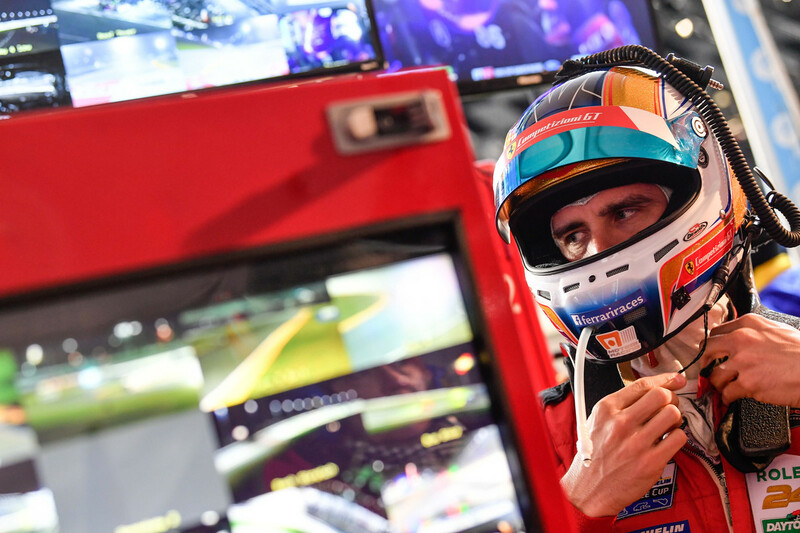 Those not choosing to take part in the official collective test are the two DragonSpeed entries (No.10 in LMP1 and No.31 in LMP2), the two Jackie Chan DC Racing ORECAs from LMP2 and the Corvette Racing LMGTE Pro entry. 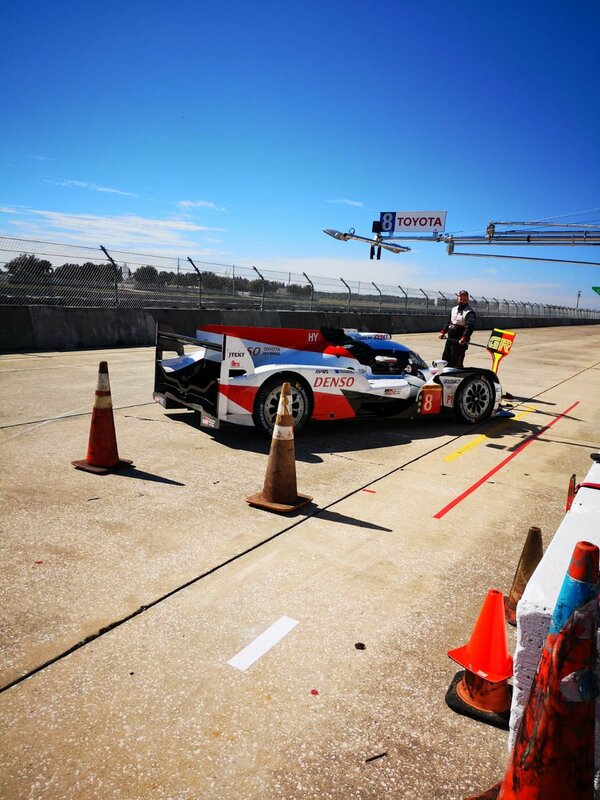 DragonSpeed and Jackie Chan DC Racing, however, took part in a private test at the Florida track in early February, together with Toyota Gazoo Racing and Ford Chip Ganassi Team UK. 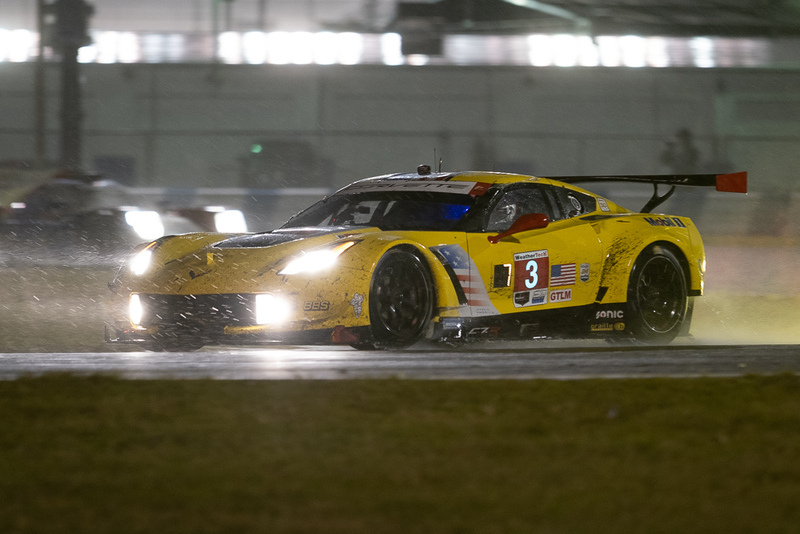 Corvette Racing, a legendary name in North American endurance racing, knows Sebring better than most and has recorded five victories (GTLM) in the last decade alone. There is just one new driver name on the list, that of BMW’s John Edwards. The American driver will be bringing his considerable Sebring experience to BMW Team MTEK over the two days.